Mousse is a type of dish that incorporates air bubbles to yield a light and airy texture, there are two types of mousse one is the popular dessert mousse where it is traditionally made from eggs and either pureed fruit or chocolate and another type is the savoury mouse where it is made out of pureed meat or fish. For this post we will be making the sweet variant which and it will be the chocolate mousse. I guess this is one of the all-time favourite desserts of everyone, a very light and airy chocolate sweet dessert which is good after a heavy lunch or dinner meal. Place the chocolates and milk in a double boiler then stir until melted, add coffee and continue to stir until coffee is totally incorporated with the chocolate. Remove from heat but leave in the boiler, set aside to cool slightly. Separate egg yolks with egg whites, place on different bowls. Place eggs yolks and sugar in a bowl then beat until creamy using a hand mixer. Mix together eggs yolks mixture and melted chocolates. Whip the cream then fold into the chocolate mixture. Beat egg whites until it forms stiff peaks then fold into the chocolate mixture. Place in serving glasses then chill for at least 2 hours. Remove from the fridge, top with whipped cream, cocoa powder and shaved chocolate then serve. Chocolate mousse is one of my favorite ever desserts. It’s SO easy too!!!! I’m addicted to sweets and this chocolate mousse is surely on top of the favorites. I am not a dessert person Raymund but sure can’t stop admiring how you have presented it. i love chocolate mousse.. what kind of cream? like all purpose cream? or whip cream?? I’ve never made mousse before and now that I think about it, I don’t know if I’ve ever even eaten it! Great presentation here too! An all time classic! Great version. I love that it looks light, but rich and decadent at the same time! One of our permanent favorites! I thought the recipe would sound really rich, but it just sounds delicious. I’ve never made this before! That looks amazing 🙂 I’d love to try it out some time! my husband makes delicious chocolate mousse! This looks fantastic, Raymund! With three chocolates, this recipe sounds delicious. 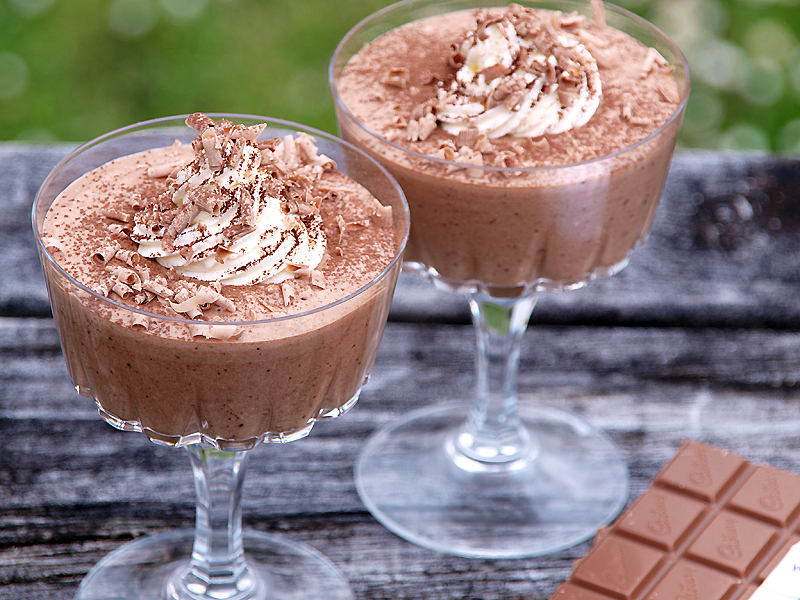 Mousse is my favorite – so creamy and rich (the sweet kind anyway). The garnish on top looks perfect. This looks so creamy and delicious. 🙂 I love desserts like this one- especially since it’s chocolate! Yum <3 I bet this tastes even better then it looks… deliciousness! This looks soooo rich and delicious. Yum!